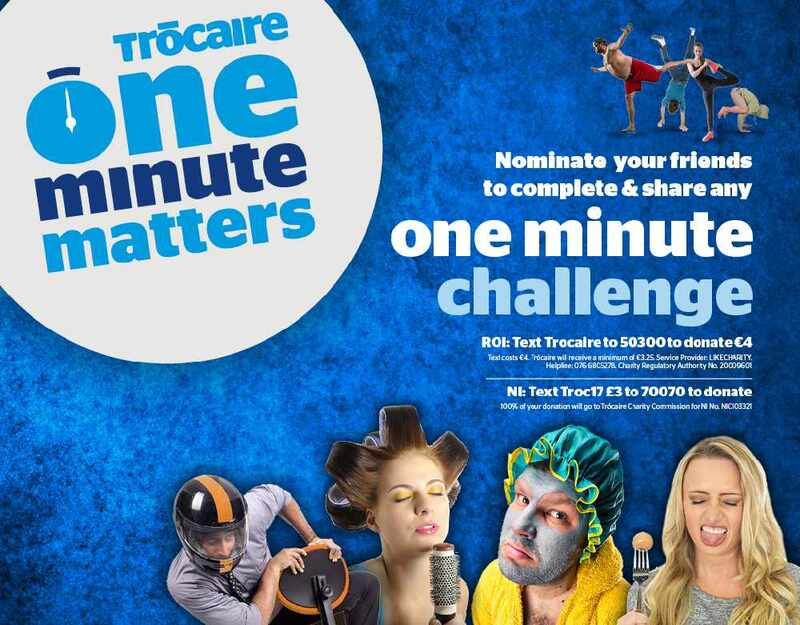 Q Radio are calling on you to get involved with the Trocaire #OneMinuteMatters challenge and show One Minute really does matter. You can help change the world in a minute and have fun whilst doing it. Your challenge could be doing keepie uppies, balancing on one leg, eating two crackers in one minute or not blinking. Do one of these and create a video with your friends or family then share on Social Media! Check out Stephen & Cate from Q Breakfast Lip-Syncing for their One Minute challenge. With the funds raised, Trócaire will provide life-saving support to up to one million people facing crisis this year – your support will help save lives. The number of people affected by humanitarian disasters such as floods, drought and conflict has doubled in the last decade. Climate change and conflict are hitting the poorest hardest. Trócaire delivers life-saving relief to almost one million people each year in some of the poorest places on Earth. We know the communities most at risk, we know how to help them – we need your support to help save lives.r own fun challenge! *Texts in NI cost £3. 100% of your donation will go to Trócaire. Charity Commission for NI No. NIC103321. Service Provider: LIKECHARITY. Helpline: 076 6805278. Charity Regulatory Authority No. 20009601.